From left to right, Robyn Dixon, Charisse Jackson Jordan, Karen Huger, Gizelle Bryant, Katie Rost, and Ashley Darby join the cast of the new show, The Real Housewives of Potomac. Second chances do not come often. Five years after The Real Housewives of D.C failed, Andy Cohen gave the DMV area a chance at redemption; The Real Housewives of Potomac. 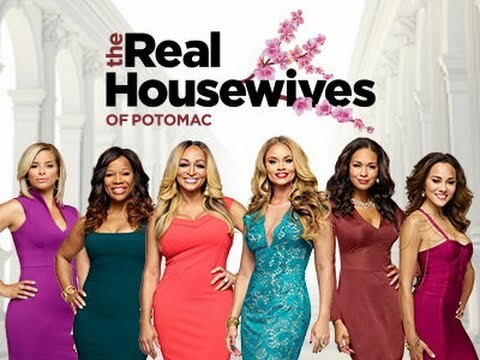 The new addition to The Real Housewives franchise delves into the lives of successful women living in Potomac, Maryland. While the cast features both newcomers and born-and-raised Potomac residents, each of the following ladies makes her mark on the show. Karen Huger: Karen is the perfect personality for a Real Housewives instalment. In true original cast fashion, she always believes she knows best. It seems like Karen’s tag line should have just been something like “I have manners.” In the first few episodes, Huger showed up late to her own birthday dinner and then obsessed over Gizelle sitting in the center of the table, calling it Potomac etiquette to save the center seat for the host or the honoree. As someone who prioritizes manners, she should have revaluated her behavior when she was causing a scene at Charisse’s party. However, she later apologized to Gizelle. Yes, you read that correctly. A real housewife genuinely apologized. After seeing that rarity, her relationship with her family, and her hilarious interviews, Karen won me over. Her equivalents in the other franchises are Lisa Vanderpump, Nene Leakes, and Vicki Gunvalson. Gizelle Bryant: Similar to Karen, Gizelle fits a classic housewife role. As one of the middle-aged housewives, Gizelle loves taking digs at the older ladies and puts down the younger ones because she feels threatened by them. Throughout the series, there is unspoken competition between the Gizella and the eldest, Karen. Both want to be queen bee, but there is only room for one in Potomac. Also, her hair stylist is her best friend and stirs up trouble. Sounds familiar? She is the Kenya Moore of Potomac. In contrast to Kenya, Gizelle has a beautiful family. I love seeing her with her daughters because they are always up to crazy, hectic antics. Robyn Dixon: As soon as she was introduced to the show, Robyn became my favorite. Unlike many of the other ladies in The Real Housewives franchise, she is not a try-hard. While others dish out petty insults, fits, and jokes, Robyn remains genuine. She is fun and entertaining without being overdramatic. Her openness with her financial issues and family life allow her to maintain an interesting storyline. Hopefully, she gets more screen-time in the coming episodes. The other housewives she is similar to are Carole Radziwill, Heather DuBrow, and Kandi Burruss. Charisse Jackson Jordan: Charisse is a class act. From the few clips of her with her children, she seems like a great mother. Seeing her suffer from her issues with her husband is truly heartbreaking. Hopefully, we will see the couple come to a resolution. Her relationship with Karen is adorable. They are definitely a power duo like Nene and Cynthia in Atlanta or Sonja and Ramona in New York. Charisse is able to put on a tough exterior, but she opens her emotions at times like Bethenny Frankel and Phaedra Parks. Ashley Darby: Ashley is the epitome of casting gone wrong. She just does not fit in with the other women. It is uncomfortable to watch her strange relationship with her husband, her desperate attempts to level up to the others, and her jovial attitude. At 27, she is younger than most housewives and very immature. Yet, her husband is much older than her. 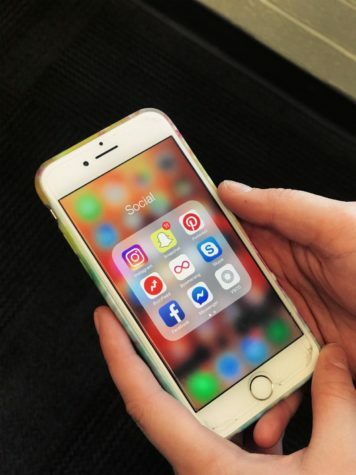 When it was revealed that she was searching the other women on the internet, I cringed. Digging up dirt on cast mates is a sign of her insecurity. Additionally, I am not buying her happy go lucky attitude. I’d love to see her be a REAL housewife. The poor casting of Ashley is similar to Meghan King Edmonds. Katie Rost: With too many children to count, a superficial personality, and an obsession with having a picture perfect life, Katie is a perfect housewife. She reminds her boyfriend that she wants an engagement ring and more children every episode, but it never gets old. Most of her time on the show is spent at social events for her philanthropy and with her family. What keeps her entertaining is her inability to control her children and her strange relationship with the nanny. She is similar to Joyce Giraud de Ohven and Melissa Gorga. Overall, The Real Housewives of Potomac is catching people’s attention. All the etiquette rules, social events, relationship problems, and more make the show an entertaining mix. 11th grader, Veda Nagubandi says, “It’s a great and interesting show with large personalities.” On the other hand, some think it does not fit the Real Housewives standards. “They’re all divorced and not even housewives,” says 11th grader, Shannon Murray. Ultimately, the Real Housewives of Potomac’s place in the franchise will be determined by whether it will be renewed or not.